This new (2017) crop Panama happens to be one of our all time favorites. This is a washed coffee, but the natural processed variation of this same coffee won 1st place in the Pacamara category in the 2017 Best of Panama and this coffee was highly regarded in the 2016 competition. Last season’s coffee was awarded 95 points from Coffee Review. At the competition the Pacamara category has been expanding as more producers try their hand at growing it, another of the exotic varieties grown in the area that has become known worldwide for its Geisha coffee. 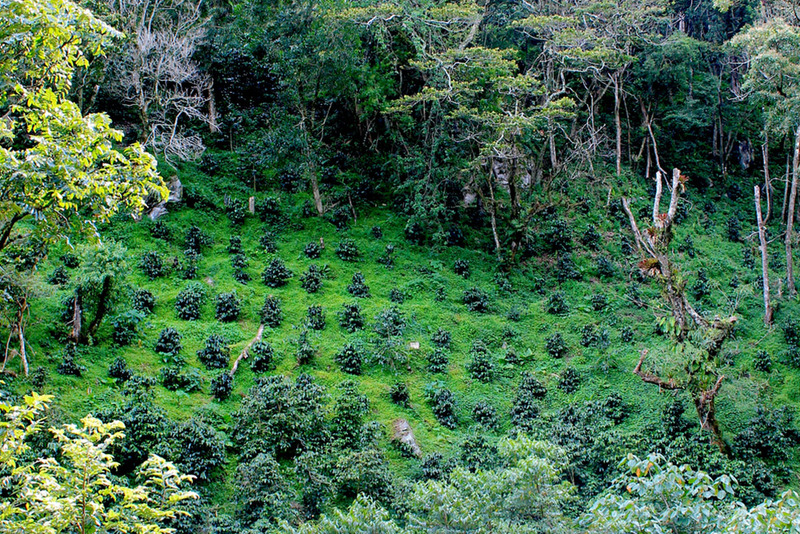 A couple of years ago were lucky enough to visit the farm where this incredible coffee is grown. 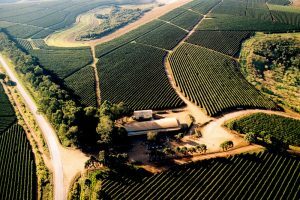 Upon arrival to the farm it became clear that the extraordinary taste of the coffee is a direct result of the extraordinary characteristics of the farm. At first perusal you might assume you are walking through a nature conservatory where coffee trees are surrounded by plants and wildlife of all sorts and enormous shade trees pillar above. 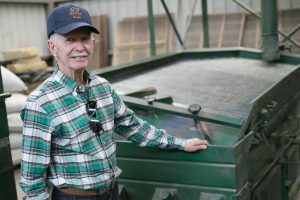 It is no accident that the farm is in such a state of preservation since the owner, Mrs. Burneskis, feels that the farm should be left in as natural a state as possible. She has a level of respect and connectivity for the coffee plants that really comes to light when you walk through the sprawling greenery. Her unconventional and untamed methods of managing her farm are evident in the cup, giving the consumer an experience that starts with the nurturing mentality of Mrs. Burneskis and her dedicated staff and ends with a stellar and unique cup of coffee. Coffee Review 95 points November 2016Please note that this coffee may not be available elsewhere in the US. There is only a small amount produced and most of it heads to Asia where there is a waiting market. 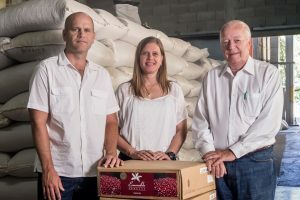 Since we have been big supporters of this coffee for years, predating its award wins and growing reputation, Mrs. Burneskis wanted to make sure that we had at least a small allocation. The price is considerably higher than it was a few years ago but well worth it. Pacamara is a varietal hybrid of Bourbon; it is a cross between the Pacas variety discovered in El Salvador and the very large Maragogype bean. The mixture at its best produces very deep, brothy flavors that always seem reminiscent of dark fruit like plums, raisins, prune. While not overbearing or something that is likely to become tiresome, Don Julian is pretty easy to pick out of a crowd. On the cupping table with seven other coffees in the same flight it was not difficult to know which it was. It was and is delightful. The farm is located in Boquete Panama at about 1700 meters and they have been growing Pacamara in its rich, black volcano soil for some years. We can remember tasting it in 2006 and it well may have been there at an earlier date. The growing area is in a protected tropical rainforest farm that gives a unique flavor, great acidity and bold body to form a richly complex cup.